MESH BATH SPONGE SOAP SAVER Variety of colors to choose from, please email us for our current color stock. Choose any color you wish! Tired of throwing away soap slivers? Now you can use every bit of your handmade soap with NO waste! This item has to be one of our favorites. 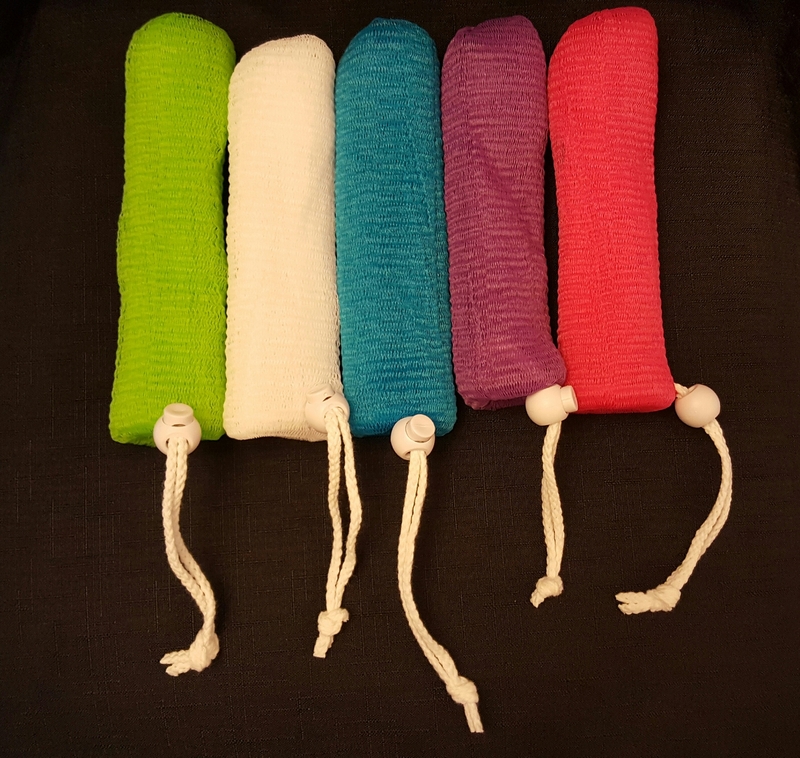 Made from the same material as the mesh sponges, that everyone loves, it is basically a tube made from multiple layers of mesh. One end is permanently closed and the other end has a cord and spring loaded stopper that allows it to be opened and closed. Just slip your soaps in, close the top by pulling on the cord, and you are ready to go. The net mesh is wonderful for exfoliating action and you simply hang to dry with the soap still in it. This is an effective way to sluff away old skin cells and rejuvinate new skin cell growth. Exfoliation is important especially in maturing skin, so your skin can have that healthy glow! This is an inexpensive bath sponge and works quite well with handmade soaps and other handmade bath and body products! See my other great products to go along with this great pouf sponge.